If you read the past 30 days, you’ll see that Andrea (Android) won in a close battle to Isabella (iOS). It wasn’t as controversial as Pacquiao vs Bradley, but was a close match nonetheless. Ultimately, it all boils down to your personal preference. But you have to respect Android for coming into a market saturated with iOS and creating their own niche. It reminds me of how PlayStation dominated the market, and XBOX came in and slowly took over by building a better online network experience. 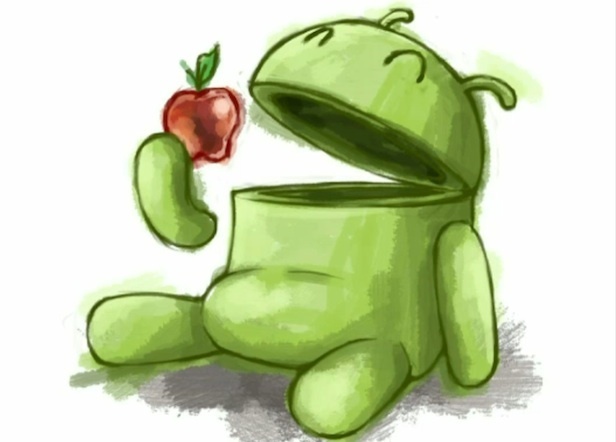 During those 30 days I learned that Apple is more of a pick up and go type op, whereas Android is more of a customize, learn, adapt, then go type op. I feel the aesthetics, layout & navigation of iOS is initially better (and yes mine is jailbroken)…but as far as flexibility I feel Android still gives you more options. The widgets, which seemed gimmicky to me at first, have become a tool in the organization of my life. Not to mention I love Google drive, email, voice, etc and the integration with Google products is seamless. Notifications – I found this app called iPhone Notifications. Looks identical to Apple, works the same way and has different customization features. Keyboard – There are different types out there, but I found iPhone Keyboard Emulator to be the best…though I’m not fond of the security risks. Theme – This is more of a preference thing. There are several on the market, but I chose iPhone Retina & iPhone 4s theme 5 theme Go EX . I’m sure there are more out there. Feel free to share. With these small tweaks, you’ll find yourself missing your Apple less and less. Now granted the typing engine still seems better on iOS in my opinion, but the flexibility of Andrea continues to be a turn on! !